I discussed wheat germ oil in Intense Dry Hair Treatment with Wheat Germ Oil. 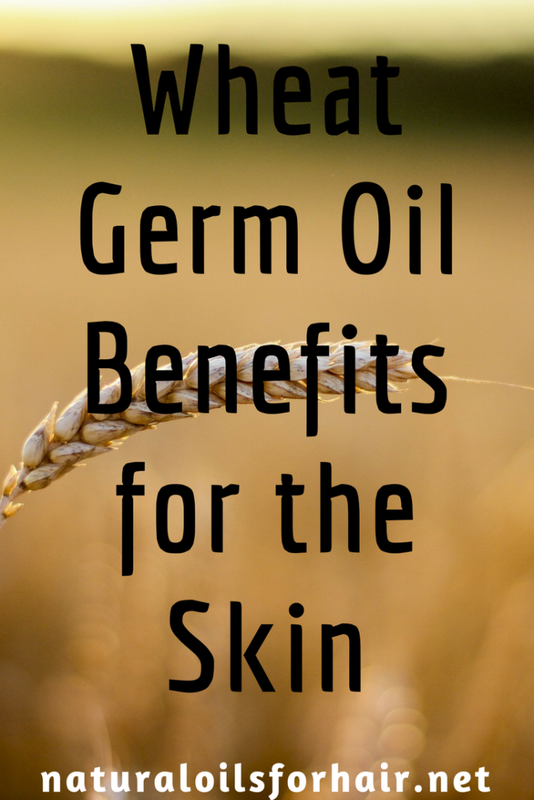 This article will look at how you can get the awesome benefits of wheat germ oil for your skin as well. Are you suffering from fading lacklustre skin, premature ageing, scarring, dry skin, puffiness, psoriasis, eczema, dermatitis? Wheat germ oil is one of the best natural oils for fast recovery from these kinds of skin care issues. Read on to find out why. 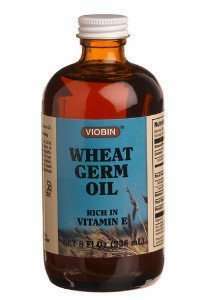 Wheat germ oil contains the highest concentration of vitamin E among all the known natural oils. Why is this important? Vitamin E is a healing compound with amazing antioxidant benefits, which is beneficial for hydrating and moisturizing dry skin and keeping it soft. 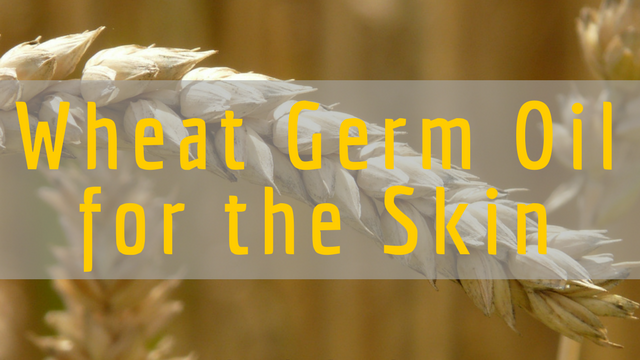 Wheat germ oil also has anti-inflammatory properties, which can help repair the skin and help with skin irritation, dermatitis, inflamed skin, psoriasis, eczema, and sunburns. The vitamin E contained in wheat germ oil is also excellent for treating scars and stretch marks. It will help fade the appearance of scars and stretch marks. Wheat germ oil contains amino acids which boost the production of collagen and elastin in the skin leading to youthful, supple and wrinkle-free skin. You can get the maximum benefits of this when you include wheat germ oil in your diet as well. Read Switch Up Your Smoothies with these Premium Natural Oils. Wheat germ oil also contains other natural antioxidants like squalene and octacosonal. 3 tablespoons of 100% pure aloe vera gel. If you don’t like the smell of wheat germ oil, add a few drops of a sweet-smelling essential oil like ylang-ylang essential oil. This recipe is fantastic for dry and flaky skin. Pour the aloe vera gel into a clean container. Add the vitamin E oil. Mix with a q-tip. Add the wheat germ oil. Mix again then add in the ylang-ylang essential oil if using. Mix thoroughly and massage on cleansed face and neck. Leave on for 10 – 15 minutes. 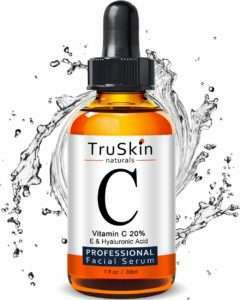 Rinse with lukewarm water and apply a suitable vitamin C serum like TruSkin Naturals Vitamin C Serum for Face. Vitamin C helps wheat germ oil work even better. As great as wheat germ oil is, it is unfortunately not suitable for all skin types. It’s a heavy oil so might become an issue in the long-term for acne-prone skin types. Try diluting it with lighter oils like avocado oil and jojoba oil. Alternatively, more appropriate oils for acne prone skin include watermelon oil and tamanu oil. Which Wheat Germ Oil Brands for Skin?